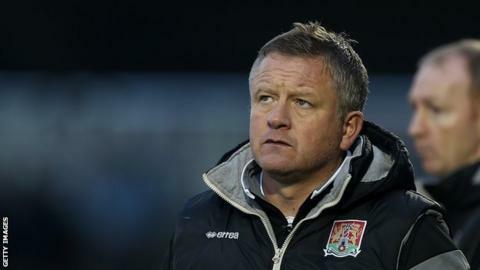 Northampton Town manager Chris Wilder spoke of his fury after his side's 3-2 defeat by Plymouth Argyle on Saturday. The Cobblers have won just one of their last seven games in all competitions. Wilder told BBC Radio Northampton: "I've never been more furious than I was today, over 500 games I've managed. "We conceded an absolutely ridiculous third goal. It just really isn't good enough. There's a lot of hard work to be put into this club and possibly a lot more than I expected there to be." Wilder's side currently lie 16th in League Two, six points above the relegation zone. "I thought that we lacked mental courage today," he said. "Physically, we were second best. "We have to be positive and show mental conviction at the top of the pitch to make things happen, and we didn't." Wilder also revealed the players had an extra training sessions at 08:00 GMT on Sunday. "Maybe I need to be a bit stronger with the players," he added. "I'll get players to respond to our methods. I'll get it right. I'll put my stamp on it. "We've got to get to 50 points as quickly as possible, then see whose contracts are running out in the summer and rebuild. "We might have to settle for a mid-table position."